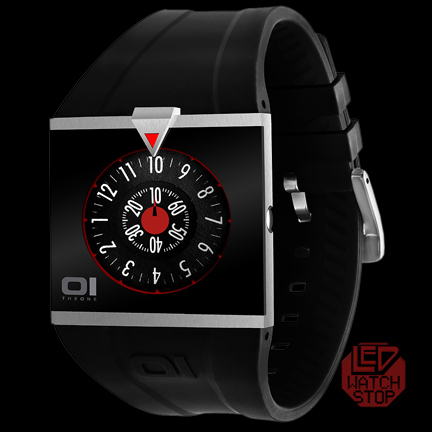 At LEDWatchStop We are the LED and Unique watch specialists and we search the planet to bring you the coolest timepieces in existence. The Largest Selection of LED Watches in the World!.....We are official Distributor for 01 THE ONE, TOKYOFLASH, SEAHOPE, TIME IT, BLACK DICE, SOLSUNO, LIP, PHOSPHOR and many more! 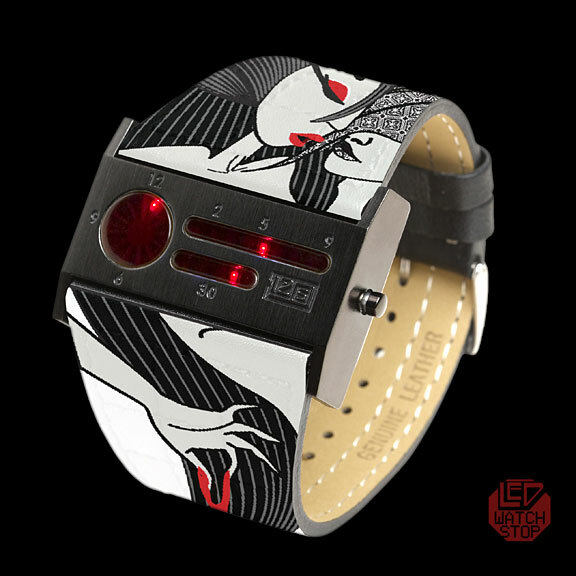 We also manufacture our own humble yet wildly successful LED watches such as MATRIX CUFF, REFLECTION, SHADOW...etc. Each customer to our site recieves maximum attention and service from the experts on the LEDWatchstop Team. Each watch we sell is backed by valid warranty and guarantee. We promise you our best! Don't forget to follow us on twitter for specials, updates and inside track! www.twitter.com/ledwatchstop Contact us: Email: sales@ledwatchstop.com North America Toll Free: 1-866-588-6464 *Shipping: - does not include handlng time. USPS Priority (2 to 3 day): FREE! (for purchases above $59.00) UPS Express (1 to 2 day): Email for quote. *shiping transit times are USPS estimate and do not imply guarantee. Multiples: Each additional in same package: FREE! *Shipping - International: - does not include handling time. USPS First Class International: FREE! (7 to 10 Work Days +) No Tracking. No Insurance. (for purcahses above $59.00) USPS International express: $30 (3 to 5 work days +) Tracked & Insured. - Recommended *shiping transit times are USPS estimate and do not imply guarantee. Multiples: Each additional in same package: FREE! Insurance (applies to USA only) $1 per $100 purchased. If declined then the buyer accepts full responsibility in the event of postal loss or damage. Lead Time: We ship retail orders twice a week on tuesday and friday unless otherwise arranged with a member of the LEDWatchStop team. Estimated transit time does not include shipping department lead time. Please allow for possible trransit (USPS) delays during peak season. *Prices are listed and processed in USD currency. Your credit card will be billed as On Tap Resources Taxes and Duties Please note that taxes or duites may be due when you receive your package. In such case...it is the responsibility of the buyer/importer. For information on tax rates in different countries, please visit www.wikipedia.org/wiki/Value_added_tax. For more information on your country's customs duty, please visit your government customs website and for more information on additional delivery charges please contact your local postal service. *Return Policy Watches on our site are warranteed as specified in description (does not apply to vintage watches). Please feel to contact us by email or our toll free helpline if you should experience factory defect. Returns are accepted within 30 days of purchase unless damaged by customer use or mishandling. If you have reason to return then please contact us for return authorization. Shipping costs are not refundable. Restocking fee may apply. (Max 10% USA or Max. 20% International if you have chosen free shipping and we paid for your initial freight). Vintage watches: Warranty and return policy does not cover vintage watches (Commodore) because these watches are over 30 years old! We test and inspect them before they are shipped. If watch is received defective..please contact us immediatey; or If an issue develops with a vintage commodore watch after you have received then we will try to solve with repair or replacement. If you have an problem, return or warranty request...please contact us at sales@ledwatchstop.com for return authorization and instruction.